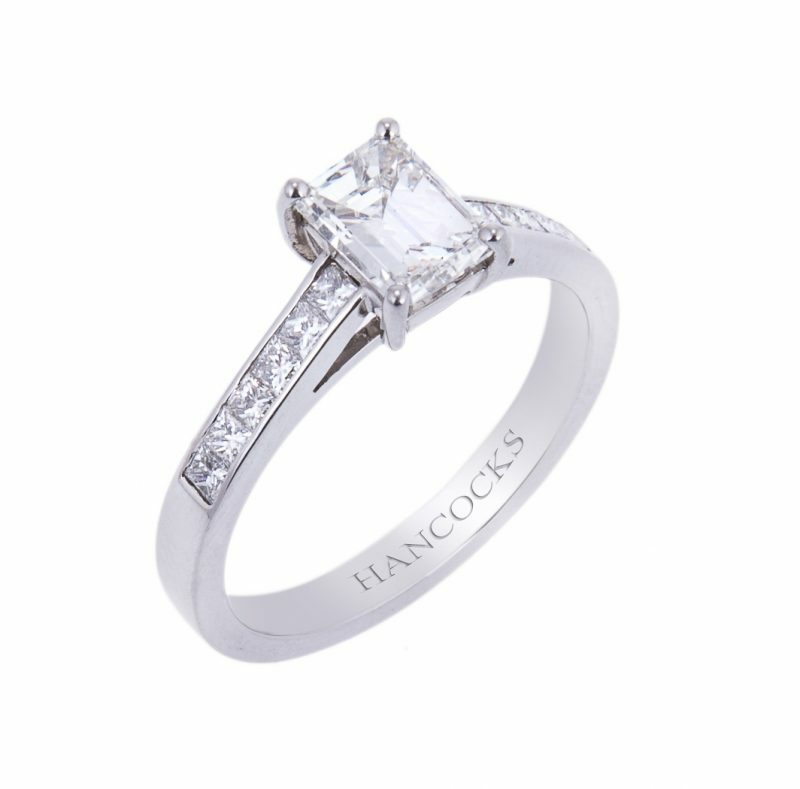 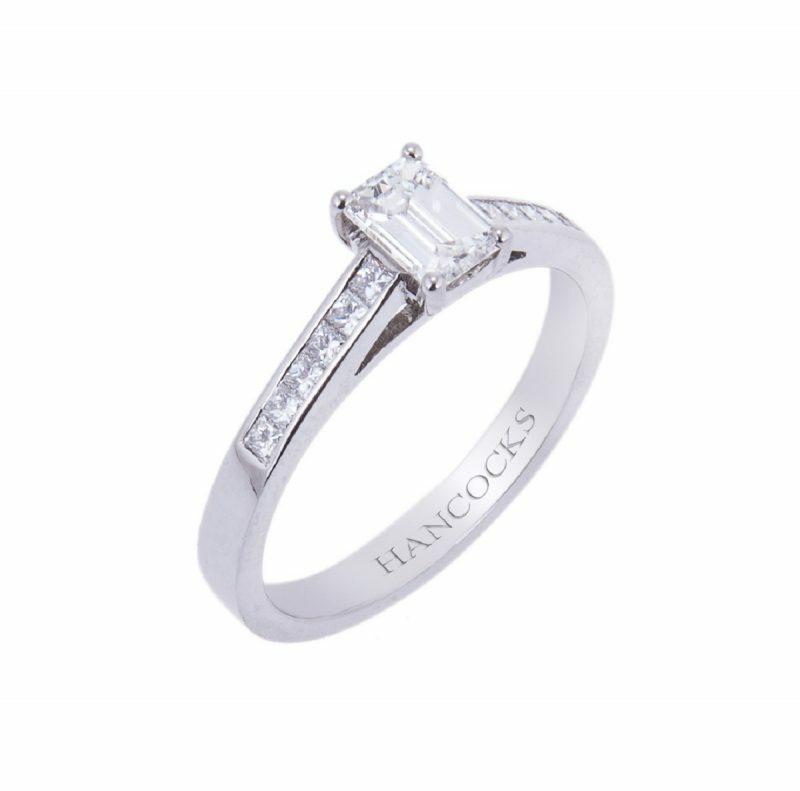 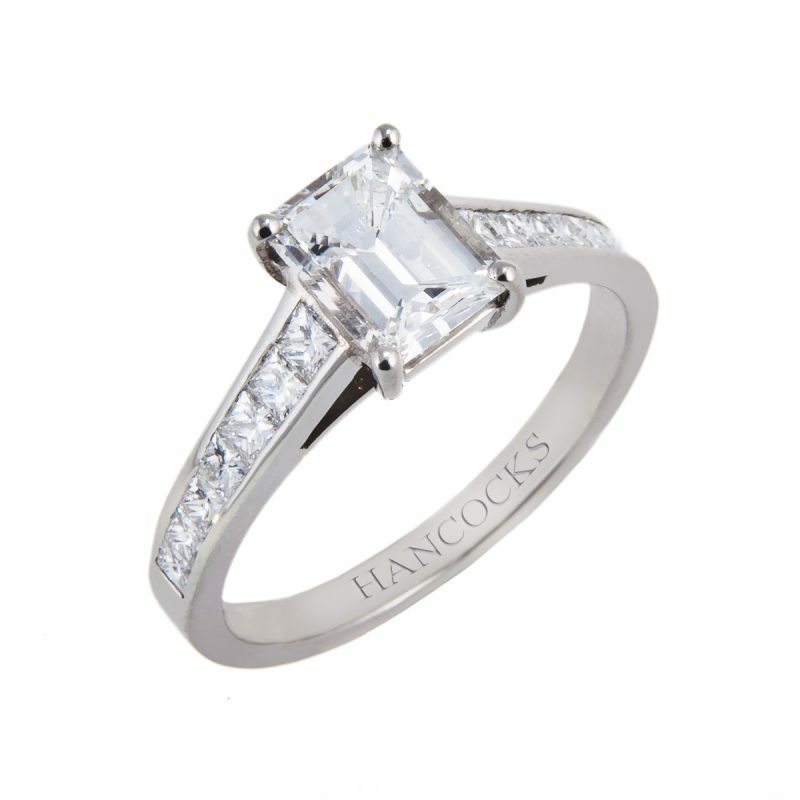 A stunning emerald cut diamond solitaire ring. 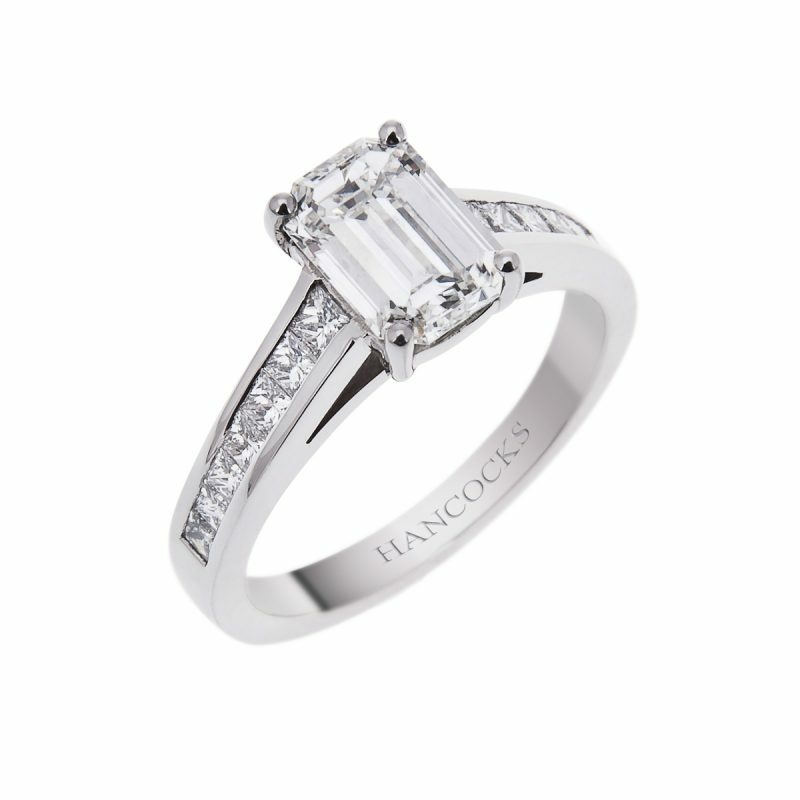 This impressive ring is hand crafted in platinum, the central 0.90ct emerald cut is enhances by the row of channel set princess cut diamond that flow down each shoulder. 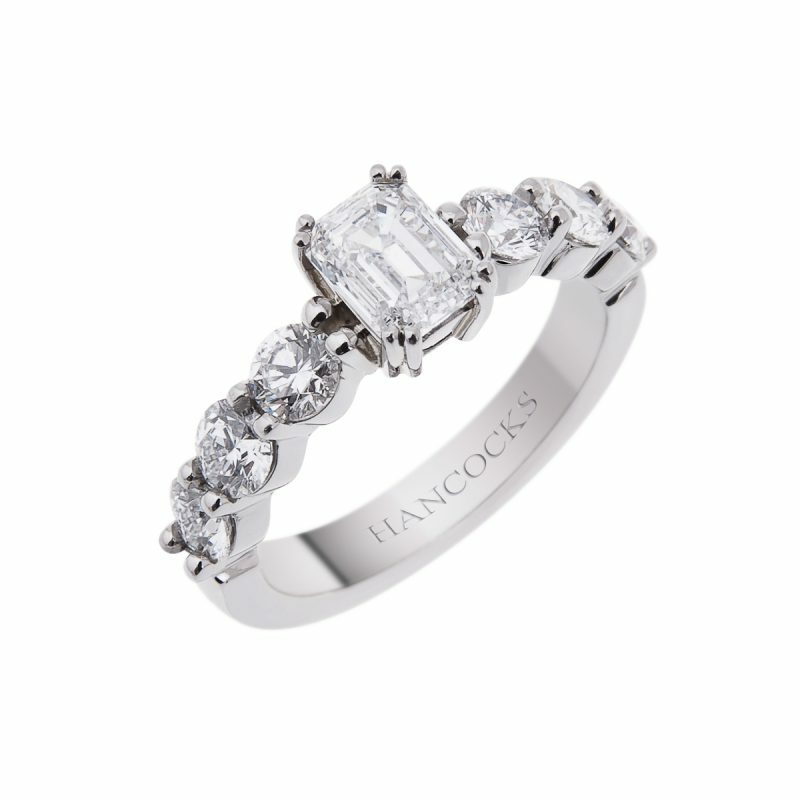 The wed fit mount makes a perfect set when matched with one of Hancocks diamond set wedding bands.